The term root canal actually refers to the natural cavity at the center of the tooth. Inside the root canal, is soft tissue and the tooth’s nerve. If the tooth becomes damaged. Because of decay or trauma, debris and bacteria can enter the root canal, causing infection and pain. The root canal procedure is a conservative approach taken to save a tooth. Our dentists at PSC perform most root canal procedures in the comfort of our office. 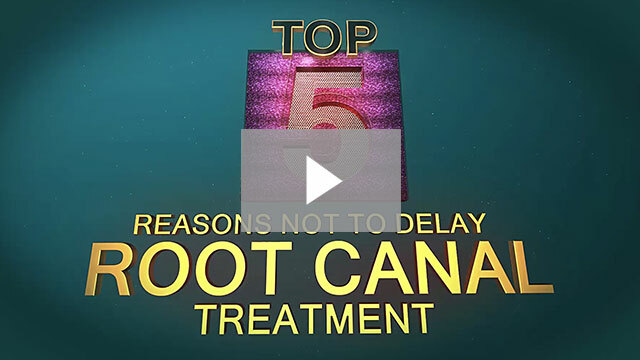 There are many benefits to saving a tooth when possible and root canal therapy has a success rate of about 95%. The number one concern with the root canal procedure is that it will be painful. In fact, the pain of the damage or infection is far more painful than the procedure itself which is similar in sensation to having a filling placed. During the root canal procedure, the damaged or diseased pulp is removed from the pulp chamber and root canal. The area is cleared of infection, thoroughly cleaned and polished. A temporary sealant may be placed over the tooth while the infection is healing. Once the tooth is free of infection, it will be permanently sealed using a dental filling or crown.